This new building dramatically improves the University's library services, reinvigorating the Stratford Campus and helping raise the profile of the University. 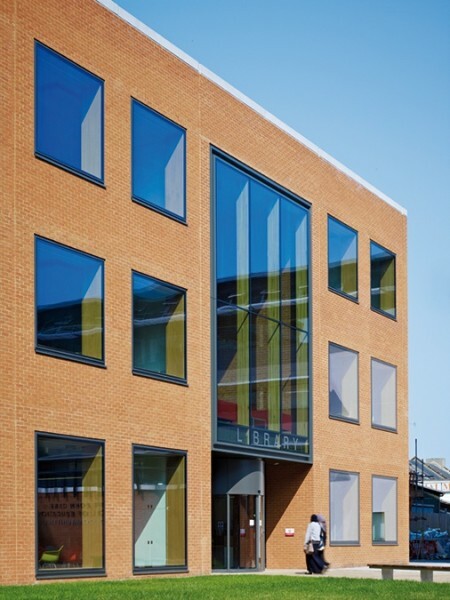 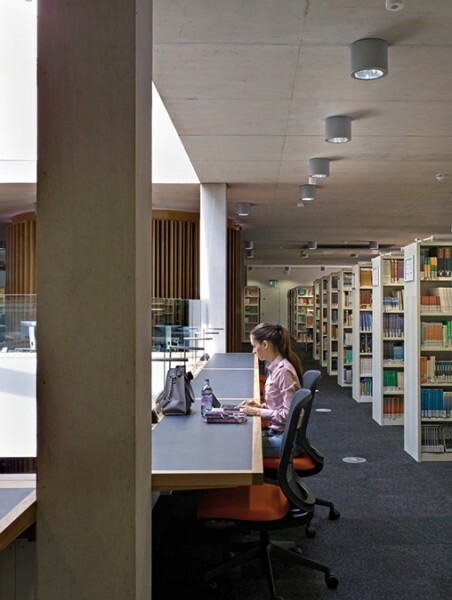 The Library offers a wide range of learning environments, including a large social 'hub' and cafe at ground floor level as well as space for 150,000 books on the upper levels, for use by the Education, Health, Sport & Bioscience, Law and Psychology Schools. 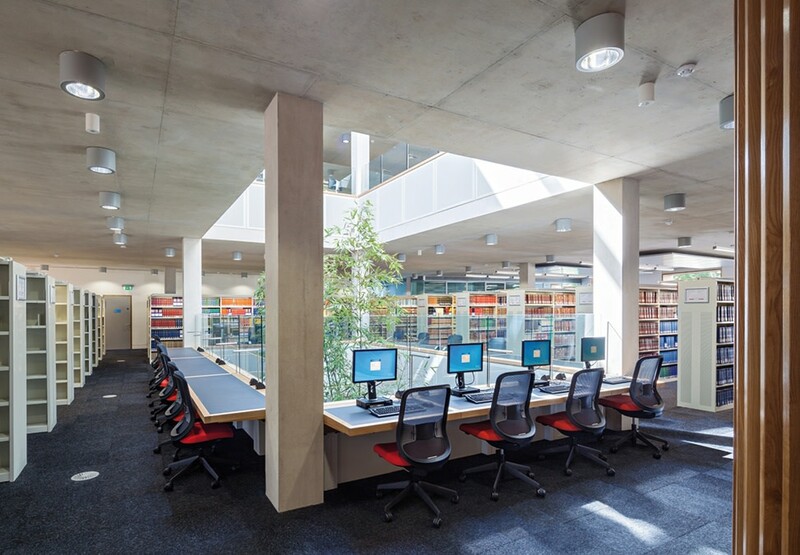 It is spatially flexible and attractive and is a stimulating place to study, with a range of media including the latest interactive technologies including an advanced digital library, self-issue and return services and an automatic book sorter. 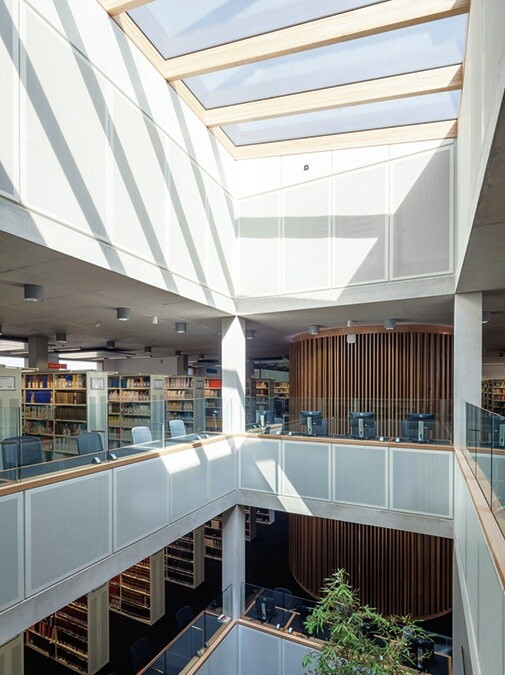 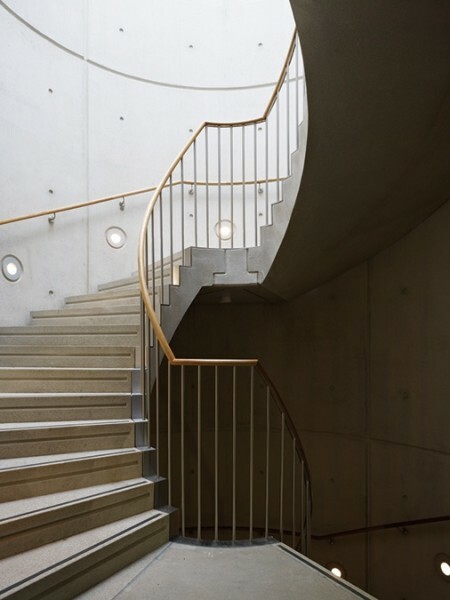 The upper floors look into a central planted light-well that is glazed at ground floor level as part of an overall acoustic strategy that ensures the learning areas are isolated from the ground floor hub space. 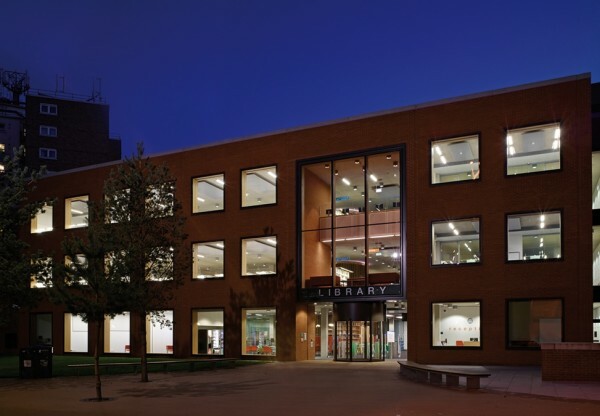 The project looks out over a simply landscaped courtyard that provides valuable green space for the surrounding portion of campus. 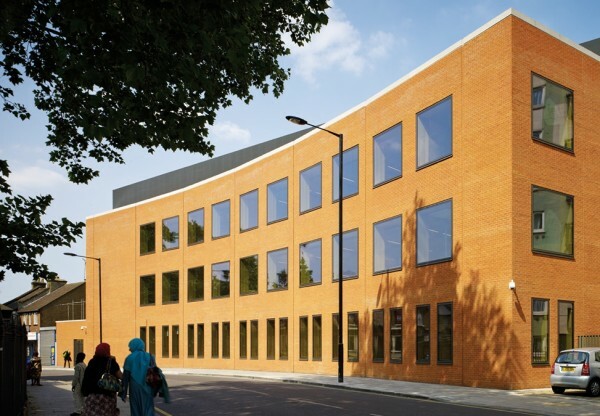 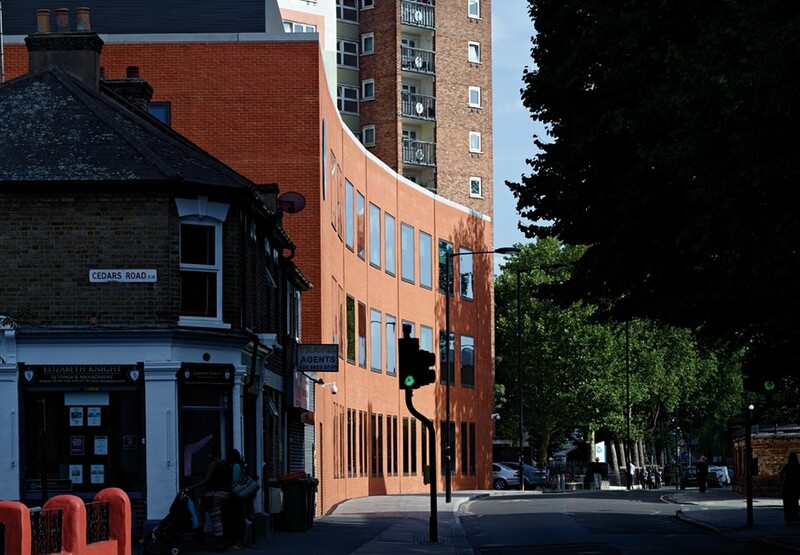 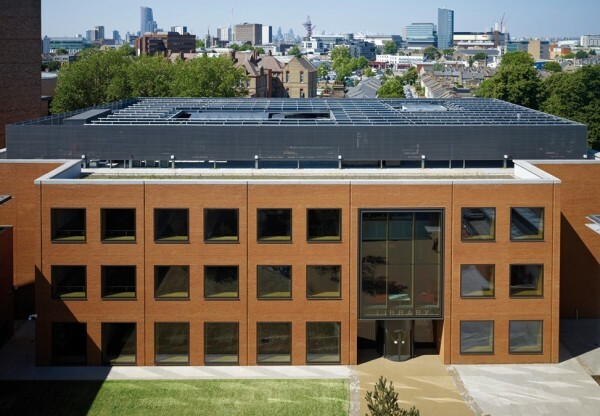 The building received a BREEAM Excellent rating, with roof mounted solar PV panels fulfilling the London Plan's renewables target of a 20% reduction in CO2 emissions.